1 February -- Centuries old Beachy Head Lady's face revealed (BBC News). A woman who died in Roman Britain around 245 AD has had her face reconstructed from her skull. The news report is actually quite confusing, since at the beginning it says she's from sub-Saharan Africa, and at the end it says she grew up in East Sussex. 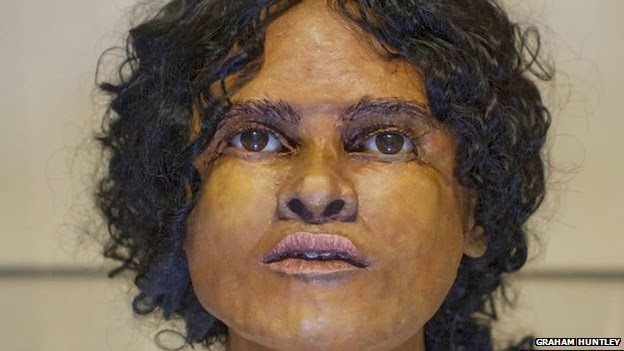 Facial reconstruction of the "Beachy Head Lady"
10 February -- PBS Nova released a documentary about the work of Dominique Castex, Kevin Salesse, and others who are researching the skeletons from the Catacombs of Sts. Peter and Marcellinus in Rome. I've had the great fortune to talk to Kevin on multiple occasions (including when we presented our respective work in Rome in 2012), and I was happy to see such a great documentary about this fantastic research. I was not thrilled, though, with this still from the video... someone at PBS needs an osteologist. 10 February -- Gladiator Heads? Mystery of Trove of British Skulls Solved (Discovery News). More/different coverage of the JAS article that came out last month (and was covered here in the RBC XXXVII). 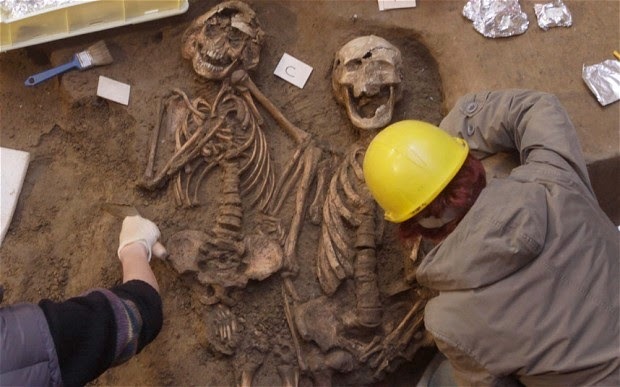 13 February -- Ancient cemetery of 'plague victims' discovered next to Uffizi Galleries; Construction work next to the famed Florence galleries reveals a 1,500-year old burial pit filled with skeletons (Telegraph). Around 60 skeletons dating to the 4th-5th centuries AD were found next to the Uffizi art galleries in Florence during construction. It seems to have been a mass grave, suggestive of a mass mortality event such as a plague. 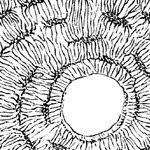 26 February -- Anglo-Saxon Cemetery Results Question Violent Invasion Theory (Past Horizons). New research suggests that the transition from Roman rule after the fall of the Empire was largely cultural (and not a violent invasion). These sorts of studies are incredibly important, as much of the discussion about acculturation in the Roman world is still focused on forcible changes to/from "Roman" and "other." 26 February -- Genotyping of ancient Mycobacterium tuberculosis strains reveals historic genetic diversity, by Muller, Roberts, and Brown in Proceedings of the Royal Society B, includes data from at least one Roman-era skeleton with evidence of tuberculosis. By studying skeletons from a wide range of time periods, the authors have shown different strains and ways the bacterium could have evolved over time.